As with all Ultra Human Brand Products, we are keeping our promise to deliver only the absolute best. That’s why we went all the way on our new Ketosis product, KETO + MCT’s. Yeah.. the name is pretty simplistic, but don’t let it fool you. This exclusive ALL-IN-ONE juggernaut combines the power of KETO 4X Patented Exogenous BHB Ketones and Pure C8 MCT’s in a single scoop. We also provided all of the right supporting ingredients including selenium citrate, pink himalayan salt and malic acid while saying goodbye to any artificial colors and sweeteners. 2 Week: New shipment every 2 weeks! 4 Week: New shipment every 4 weeks! 6 Week: New shipment every 6 weeks! 8 Week: New shipment every 8 weeks! Beginner: Consume 1 scoop first thing in the morning. Intermediate/Advanced: Consume 1 scoop first thing in the morning and 1 scoop in the afternoon or prior to workout. Professional: Consume 1 1/2 scoops first thing in the morning and 1 1/2 scoops in the afternoon or prior to workout. Mix 1 level scoop per 10-12oz of cold water. Mixes Instantly. Tastes Great. We weren’t messing around when designing Ultra Keto! It’s an extremely powerful product, with KETO 4X patented exogenous ketones and pure C8 MCT’s. Keto4X is a unique and rare combination of ALL FOUR goBHB™ ketone bodies. When eating a low carbohydrate diet, the liver converts fats to ketones, which serve as an alternative energy source for the brain, heart, and muscles. Ketones are a Non-Carb energy source. With goBHB’s™, you are ingesting a ready-to-use ketone body, giving athletes and busy professionals more energy, performance, and focus. An MCT is a Medium Chain Triglyceride (an extremely healthy fat) that converts to ketone bodies, helping athletes and busy professionals realize increased levels of energy, focus, and performance while also potentially helping with weight management. Other MCT products contain C10 and C12 MCTs which are both cheaper and inferior to the fastest burning, C8. Ultra Human uses pure C8 only in its Keto + MCTs with READY BURN™ combined with acacia fiber to provide gut microbiome support. Selenomethionine is an amino acid that contains selenium, an essential mineral commonly found deficient in Ketogenic diets. L-selenomethionine is biologically active in humans and many other lifeforms. This bioavailable form may be easier to absorb than selenite, which is an inorganic form of selenium commonly used in health supplements. One clinical trial showed that L-selenomethionine has an absorption rate 19 percent higher than that of selenite. Pink Himalayan salt is often said to be the most beneficial as well as the cleanest salt available on this planet today. It has all kinds of nutritional and therapeutic properties and contains over 84 minerals and trace elements, including calcium, magnesium, potassium, copper and iron. Malic acid is an organic compound that is naturally found in fruits such as apples. It is often taken as a supplement, especially for the treatment of fibromyalgia and chronic fatigue syndrome. Malic acid is known for its ability to increase energy and tolerance to exercise. This is because it is an essential component in the Krebs cycle, which is how our bodies convert food into energy, according to the “Journal of Nutritional Medicine”. It works excellent for those on Ketogenic diet or consuming ketones. 2,000mg are included in 1 serving of Keto + MCTs. Vitamin B6 enhances the absorption of nutrients. Ultra Human uses a specific form called P5P (Pyridoxal-5-Phosphate) which is a superior absorbing and efficient form of this nutrient. Helping reduce common signs of aging. Regulation of the water levels within the body for proper overall functioning. Encouraging healthy blood sugar levels. Improving the absorption of nutrients from foods. Promoting kidney and gallbladder health in comparison to chemically treated table salt. 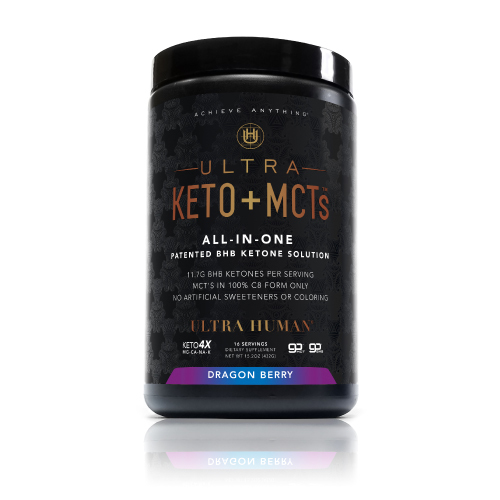 What is Ultra Humans Keto + MCT'S? An All-In-One Patented BHB Ketone Solution. 1 serving a day can skyrocket ketone levels resulting in more optimized fat loss, sustained energy and better cognition. It contains NO ARTIFICIAL colors, sweeteners, dyes, preservatives, GMOs, flavoring or sugar. How Secure is Shopping on Your Site? All orders placed through TheUltraHuman.net are secure and encrypted. Our storefront and credit card gateways operate on a secure storefront software platform. All confidential information is sent via Secure Sockets Layer (SSL). This information is encrypted and can only be read on your computer and our servers, it is unreadable during transit over the internet so hackers and online spies cannot steal your information. In the event of unauthorized use of your credit card, you must notify your credit card provider immediately as set forth through their reporting regulations and procedures. I Want to Place an International Order. We ship all over the world, and most orders arrive at International destinations in 2-3 weeks. If you are in one of the following countries: Spain, Singapore, U.K., Brazil and don’t see it listed in the checkout area, please contact us directly. Ketones, also known as “ketone bodies,” are byproducts of the body breaking down fat for energy that occurs when carbohydrate intake is low. They are a preferred fuel source for the brain and aid in sustained energy levels and optimized fat loss. In geeked out terms, its a Medium Chain Triglyceride (an extremely healthy fat). These fats convert to ketone bodies, helping athletes and busy professionals realize increased levels of energy, focus, and performance while also potentially helping with weight management. They fuel the body with healthy fats natural and sustained energy without a “crash” later. The patented goMCTs™ used by Ultra Human also contain acacia fiber, a prebiotic that aids in gut health. Do I Need to Take the Product Daily for Results? No. Though we do feel a serving a day is extremely effective, you can certainly take it every other day, or even a ½ serving if you’re on a budget. Even smaller servings of our Keto + MCTs are still more effective than many other companies’ full serving size. Why Did Ultra Human Combine Ketones with MCT'S? Pairing goBHB™ with medium chain triglycerides (specifically the pure C8 goMCT™ version Ultra Human uses) creates a “superfuel.” When taking both together, blood ketone levels rise higher and are sustained longer than goBHB™ or goMCT™ alone. The combination helps satiate and maintain energy levels for optimizing weight management. We do our best to ensure that all orders placed before 1 pm EST are shipped the same day. Ultra Human processes orders seven days a week. We currently ship all of our orders via USPS ground method. If you are in need of expedited shipping options, please contact us directly. Standard delivery time for Domestic US orders is 2-5 business days depending on delivery location. International orders may take up to 2-3 weeks. What's the Big Deal About C8 MCT's? This signifies 8 carbons on the chain (medium ‘chain’ triglyceride) which means it is THE MOST efficient at burning fast for maximized ketone levels. Other MCT products contain C10 and C12 which are both cheaper and inferior to C8. Ultra Human uses pure C8 only in its Keto + MCTs with READY BURN™. 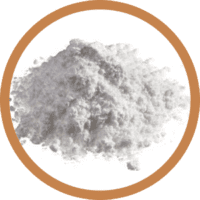 How Do Ready Burn Pure C8 MCT's Work? Ultra Human considers EVERY aspect of advanced nutrition that can positively or negatively affect your performance. Minerals are vital for proper body function and are commonly depleted during workouts and sweating causing a de-optimization of mind and body function. Our goal – to replace them fastest and efficient was possible. What are 'High Absorption Minerals'? Unfortunately not, most electrolytes and minerals are underdosed or are or poor quality. This makes a HUGE difference when it comes to human performance especially during workouts or sweating. It has been scientifically validated that if minerals are orally consumed in a specific form like those in Amino Code, they can be absorbed and utilized more than 10x the cheaper forms other companies commonly use. Is Keto + MCT's Just for Athletes? Not even close. Keto + MCTs is for anyone interested in weight management, increased energy and overall well-being. They enhances ketone production, helping people feel more alert, focused, and satiated. Busy professionals, on-the-go moms and dads, or even college students looking for extra hours in the day will benefit from it. “Biohackers” and our “Ultra Humans” love Keto + MCTs for its ability to maximize cognitive potential; ketogenic dieters and low-carb enthusiasts also like it for its satiety benefits. Do I Need to Be on A Ketogenic Diet? Keto + MCT’s aids in the transition to a ketogenic diet and is ideal for those who are in a ketogenic state. However, you do not have to be in a ketogenic state to benefit from goBHB™. Even those with low carbohydrate diets or those who are simply being conscientious of their nutrition can experience the benefits. All Ultra Human Brand products are manufactured in the USA under the strictest guidelines at cGMP, FDA Inspected Facilities. All Ultra Human shipped within the domestic 48 States, regardless of size or weight, are shipped Free, no minimum order. We stand strongly behind all Ultra Human products, and they are Guaranteed. Period. If you are not completely satisfied for any reason within 30 days of purchasing the product, we will refund 100% of your money back. Simply contact us through our site and we will walk you through the simple steps to return an item. I personally guarantee all Ultra Human™ products to be the utmost honest, ethical and effective. Not only is The Ultra Human™ one of the most advanced and effective series of products to ever be conceived on the market, but it’s also my life’s work. We stand strongly behind our products. If you are not completely satisfied for any reason with our products, we will refund 100% of your money back.